A little over 2 years ago I had the pleasure of meeting the sweet ladies (Liz and Elizabeth) from Simple Simon and Co. for the first time. If you've ever met them in person you'll understand when I say there was laughter AND tears (the joyful kind). Anywho! 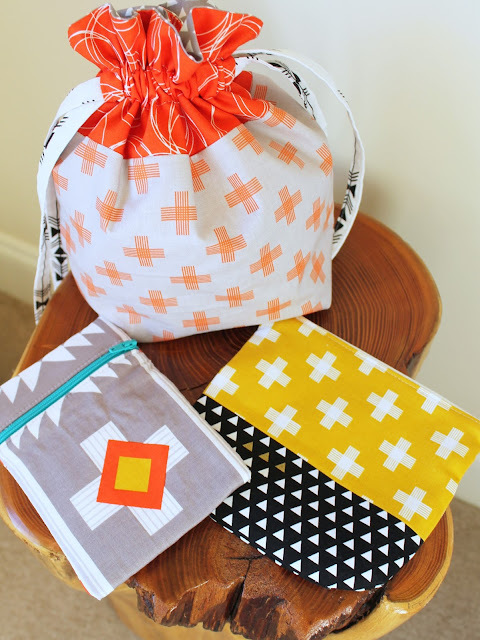 When they asked me to be apart of their blog hop celebrating their new fabric line, Four Corners, from Riley Blake, I happily agreed! When I got the fabric I squealed a bit--I mean, come on! Bright, graphic prints plus some metallic thrown in? YUM! 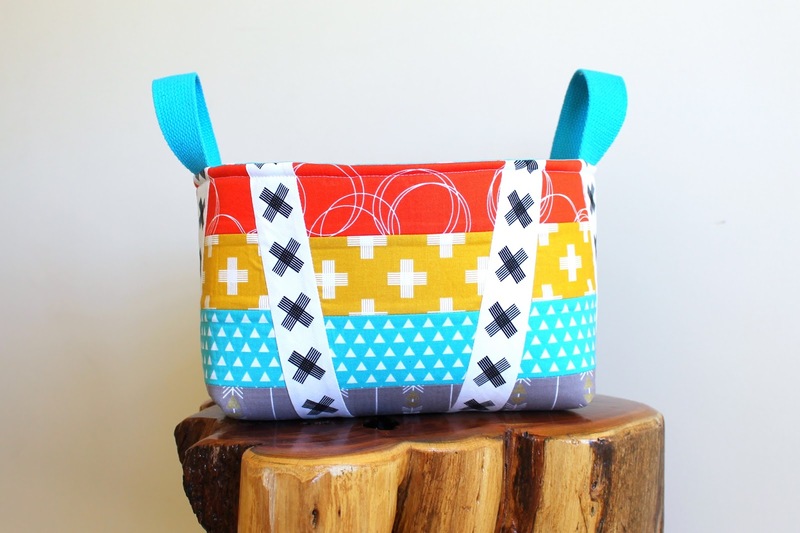 I decided to see where my sewing mojo took me and just began slicing and dicing! I thought I was making a mini quilt, but I ended up with a piece of fabric the perfect size for my Hour Basket! Heads up, Pellon is coming out with a new fusible foam soon called FF78F1 Flex Foam (which I used for this basket). It ROCKS! The Hour Basket didn't use up much fabric from the fat quarter bundle I had so I decided to add a Lined Drawstring bag! 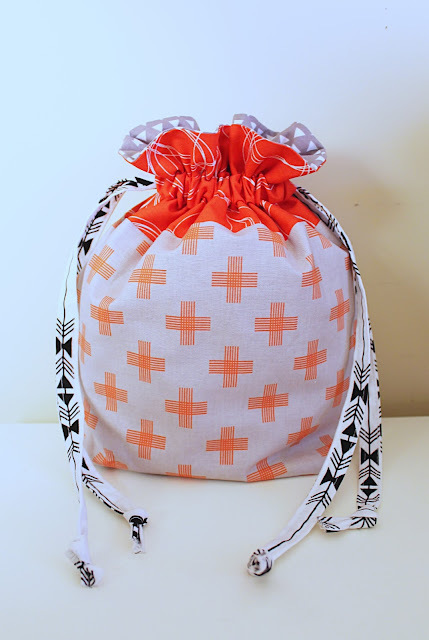 This orange-red cross print on light grey is my absolute FAVORITE from the line! I still had fabric left so I made a little zippered pouch with a curved bottom (just use a bowl to cut the corners into a round shape). Loving the peek of metallic in the lining on this one! 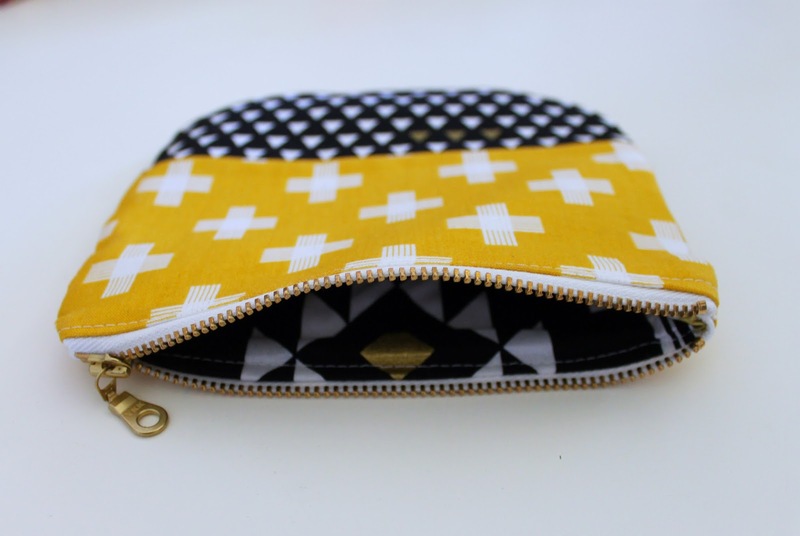 Then, I decided I needed to use one of the border/panel prints to make something and wound up with a 30 minute pouch! Seriously, the cross ended up perfectly centered without even trying! It was fate! This just goes to show you how far you can stretch a few fat quarters! 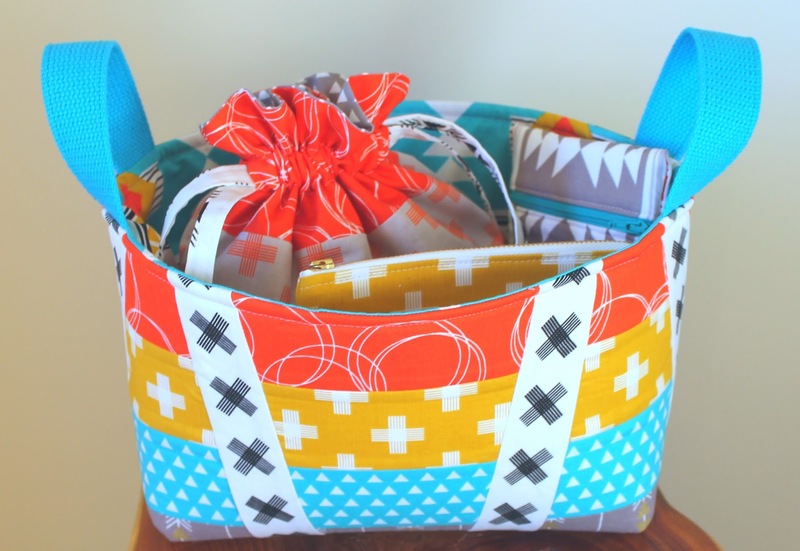 I have an entire basket full of beautiful goodies plus fabric to spare! Congrats on the great fabric line ladies! 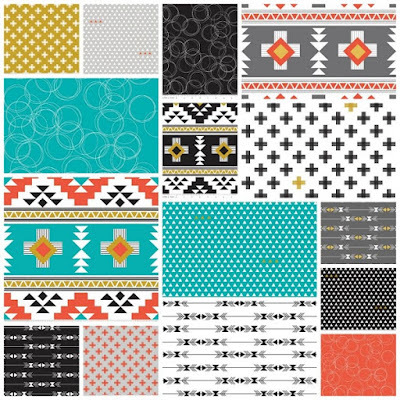 Be sure to head over to Simple Simon Co for a chance to win some of this beautiful new fabric for yourself! Amazing what you made with your bundle. Beautiful! 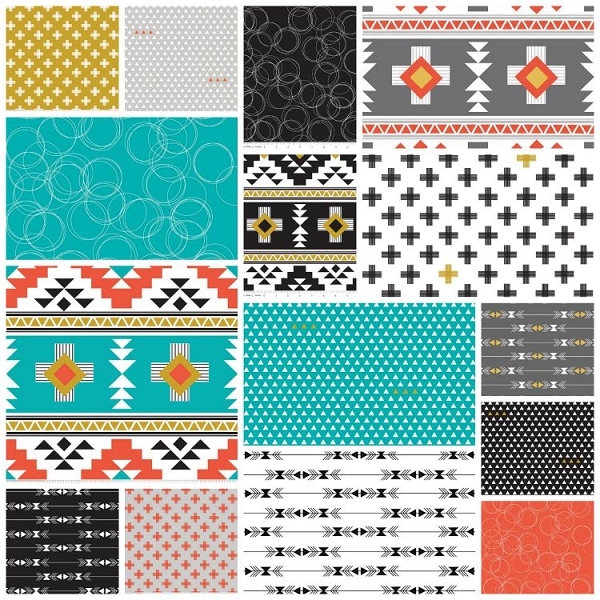 I think everything that you created with this awesome fabric is spectacular! Thank you for sharing and inspiring. Have a wonderful creative day! Many different style of baskets are here. The idea, color scheme and designs are simply beautiful. It is so cherishing to see.